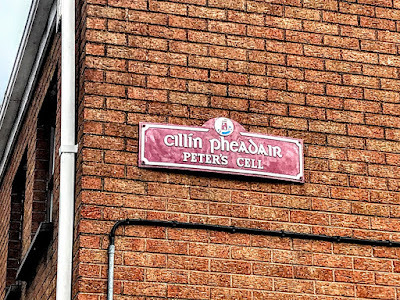 Peter’s Cell is an unusual place-name in the heart of the old city in Limerick. 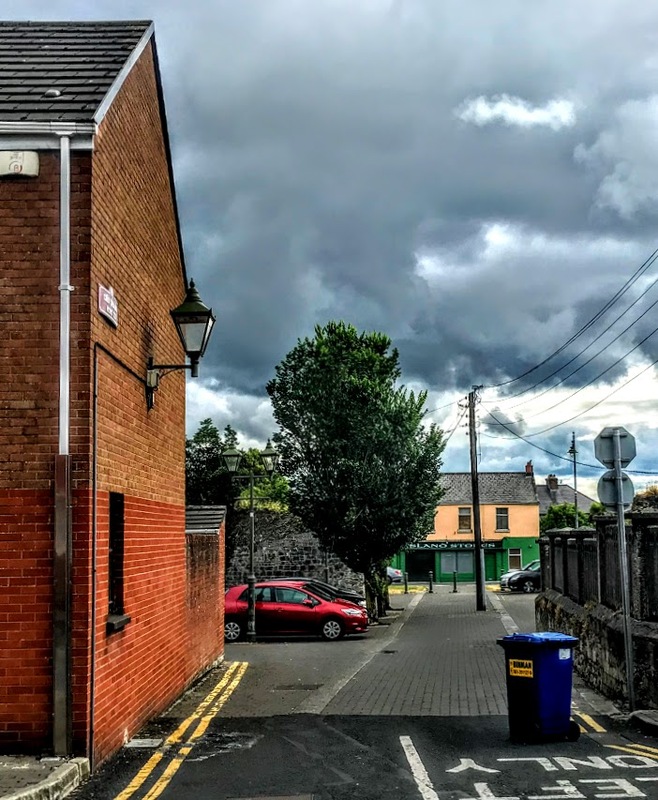 But it is one of the reminders that the east side of Englishtown in mediaeval Limerick was lined with religious houses, some of which were incorporated into the Walls of Limerick. 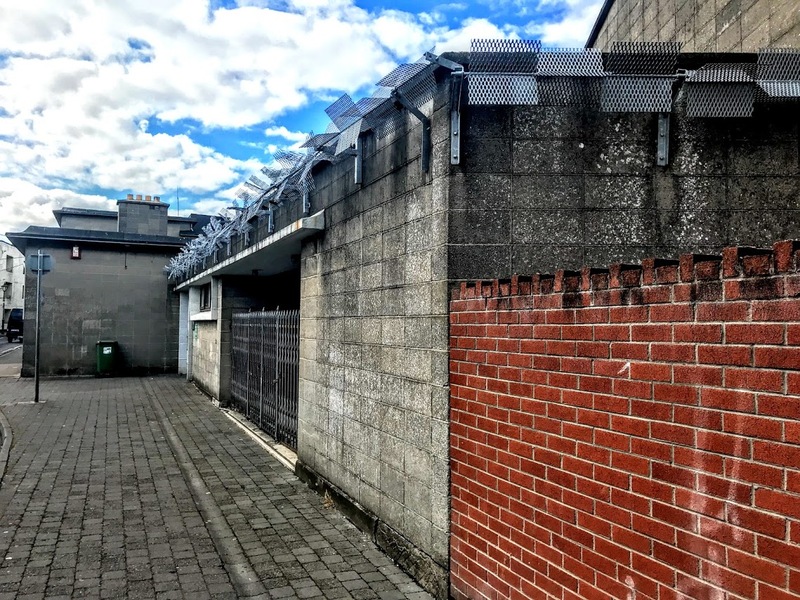 Established by Donal Mor O Brian (1168-1194) for the Canonesses of St. Augustine, this was a branch house (cell) of Cill Eoin Nunnery in Thomond. Its old name was ‘Teampall Na gCailleach Dubh.’ At one time Ross Brien (originally ‘Fearann na gCailleach’) was part of its property. The Canonesses of Saint Augustine, who arrived at Peter’s Cell in 1171, were the first nuns to come to Saint Mary’s Parish. There was a number of different orders of the Augustinians based in Limerick over the years. The Canons Regular of Saint Augustine became established in a number of Irish towns, having spread from their foundation in Armagh, where there were some communities of missionary priests. They had come to Ireland from Continental Europe, and this is probably the case too with the Canonesses in Limerick. Very little is known about these canonesses, apart from the fact that they had a church dedicated to Saint Peter. It was from this church that the area was called Peter’s Cell, the word cell coming from cella or a room for each nun. The convent stood at the end of Pump Lane or Peter Street and was close to the Walls of Limerick. Some accounts of the convent in later centuries imply that there were Dominican nuns there, perhaps because of the proximity to the mediaeval Dominican friary. At the Great Reunion in 1256, five different groups who professed to the Rule of Saint Augustine came together under one prior general, and became known as the Order of the Hermits of Saint Augustine. This new unified group of Augustinians was a branch of the Augustinian Canons and they came to Ireland around 1280. After the Dissolution of the Monastic houses at the Reformation, the Augustinians left the city after 1541and moved into the surrounding countryside. Despite the forced departure of the Augustinian canonesses, the name of Peter’s Cell survived in a small corner near the junction of Bishop Street and Peter Street. In the late 17th century, the Quakers had a small burial ground near Peter’s Cell, and the Dissenters, the precursors of the Presbyterians, rented the former site of the canonesses, from Lord Milton from the 1690s until they built a new meeting house or chapel and a minister’s house nearby in Peter Street in the 1765. Meanwhile, part of the ruined convent buildings was converted into the Peter Cell Theatre around 1760. The new theatre in the former convent had a stage, a pit, boxes, a gallery and some dressing rooms. Spranger Barry, a theatre manager in Dublin and Cork, began a regular summer season here in 1760. Audience participation was encouraged, doubtless leading to raucous evenings. The theatre was still operating as late as 1770. Peter’s Cell also became a favourite location for the residences of professional men of the city. At this time, the old name for the Exchange was Monk’s Lane. 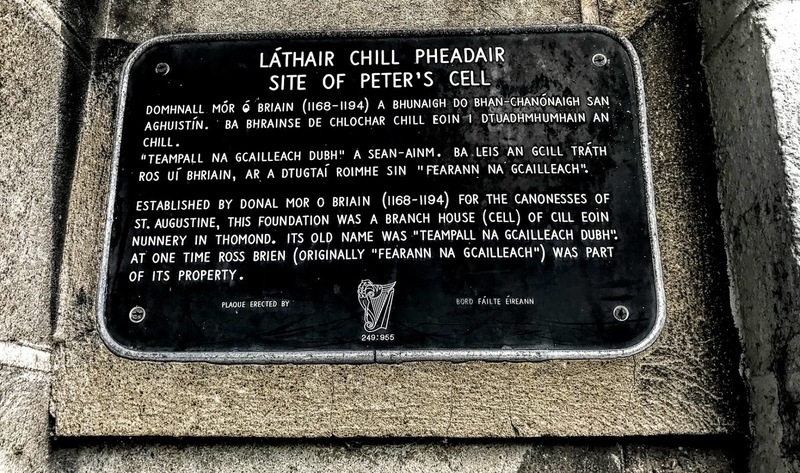 Later, Saint Munchin’s College was located in Peter’s Cell briefly in 1800-1809. 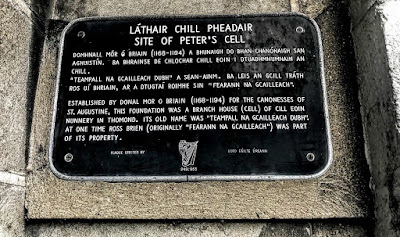 The name of Peter’s Cell is also retained in the name of the small theatre at the Belltable Arts Centre, where Peter’s Cell is a reminder of the earlier, Georgian theatre on the site that was home to the mediaeval Augustinian canonesses.